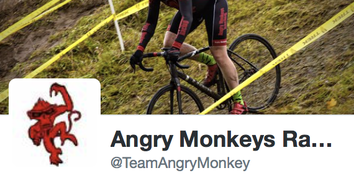 Angry Monkeys Racing offers these links for your viewing pleasure. There are three categories of links: AMR Sponsors/Supporters, Regional Sponsors/Supporters, and Informational. Velo Ink makes fantastic adhesive badges and logos for our team gear and bikes. Riders are able to put names with AMR logos on bikes gear and random objects. Order your AMR branded Velo-Ink today! AMR is a Grassroots Sponsored Team. Eggbeaters are the choice pedal for majority of the team. This year we are introducing new team socks. Thanks to DeFeet for working with us on our design and new addition. We will have a few for purchase for those crazy fans! Check back for updates. Food and drink is better when it’s made from scratch. We are proud to be supported by Scratch Labs. USA Cycling Website where AMR is a registered club. Local AMR groups have local sponsors that specifically help out the growth of the local members; those sponsors are listed below. ​Race promoters are also listed for informational purposes.